The French-Dutch airline’s CEO quit after staff rejected his pay deal, triggering market chaos. The travails of insolvent peer Alitalia provide a window into the toxicity of unruly unions and bad state policy. Resisting the urge to meddle will help the president’s pro-business push. Jean-Marc Janaillac, Chief Executive Officer of Air France-KLM Group, attends a news conference in Paris, France, May 4, 2018. Air France-KLM’s Chief Executive Jean-Marc Janaillac said late on May 4 he would resign after staff of the European airline rejected a pay deal. Following Janaillac’s resignation, shares in Air France-KLM dove on May 7. The stock was down 9.9 percent at 7.30 euros in late afternoon trading in Paris. The carrier said 15 percent of its flights would be cancelled on May 7 due to a strike over a pay dispute, the latest in a wave of staff disruptions that has cost the airline 300 million euros. 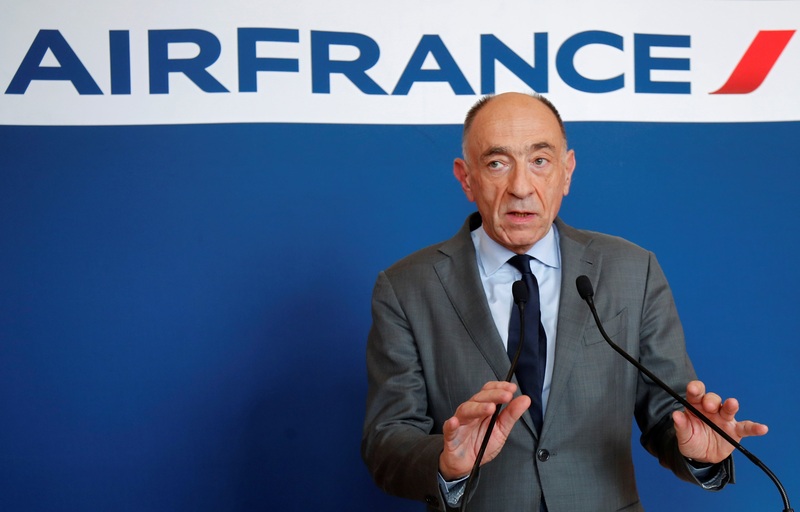 The French government, the largest shareholder in the airline with a 14 percent stake, said on May 6 the state would not act as a financial backstop for Air France-KLM. The carrier’s board will decide on a management transition plan on May 15.